Remember in Clueless when Tai uses the word “sporadically” in a sentence for the first time and we’re all really proud and slightly embarrassed for her? Well, this blog has become a sporadic part of my life. Or maybe worse. Maybe it’s occasional. First, I tried to write a scary story with a little help from Zak Bagans of Ghost Adventures on the Travel Channel. Turns out, even when you have a haunted 100-year-old rectory, demonic possessions and a real-life exorcism, translating them into something actually frightening is really, really hard. I also met some recent Vegas transplants working on a badass video game called Battle for Presidency where you can fight as a steroidal Obama or a supernatural Ron Paul. You do not want to mess with Teddy Roosevelt. And I had a really cool chat with Gail Simmons from Top Chef and Food & Wine in advance of the mag’s All-Star Weekend in Vegas. I refrained from getting all stalkerish and telling her how we both majored in Spanish and anthro and both studied abroad in Spain and isn’t that crazy?! Finally, I went to a taping for Cee Lo’s upcoming Christmas Special concert with guest appearances by Rod Stewart, Eric Benet, a whole bunch of bright-faced Voice competitors and the Muppets (Coolest. Thing. Ever.). 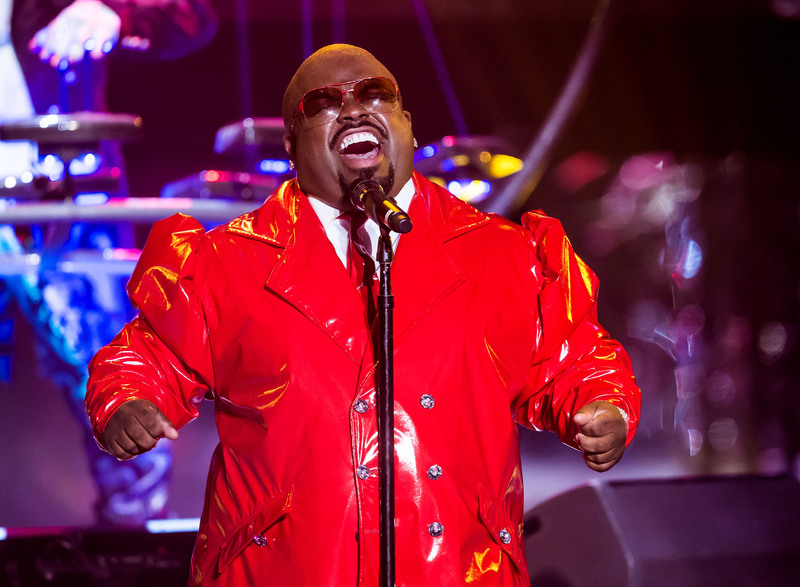 Note to Cee Lo and everyone else in the world: Vinyl suits with floor-length jackets are a very, very bad idea. Oh yea, and I did Tough Mudder last weekend. That’s about it.